There should be no barriers to a wonderful holiday. At Polmanter, we’re always working towards making our campsite and apartments welcoming and accessible for all our guests. Here’s a guide to the facilities at Polmanter. If you have any questions or if there’s anything we can help with in advance, please call or email us. We understand that guests often prefer to travel later in the day or overnight to try to miss the worst of the traffic. For this reason, we have an ‘arrivals’ field that you are welcome to use from 12am (midnight) on the morning of arrival. We ask all new arrivals to park on this dedicated grass car park near the entrance. This is about 200m from Reception. You can check in at reception from 9am each morning. Pitches should be ready by noon, apartments by 3pm. When guests arrive, we ask them to park in the arrivals field near the entrance, and walk around 200m down to Reception to register (this is because the barrier into the main campsite works by registration number recognition, so guests need to check in first). If you have any mobility difficulties, please drive towards Reception, and you’ll see a sign to the right pointing to the Visitors’ Car Park. Please park here while you check in. We’ll then direct you to your pitch / apartment. 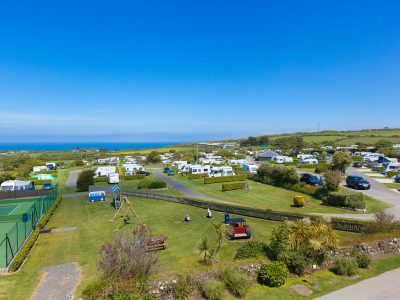 Our pitches are spacious, and the campsite is either flat or gently sloping. The unserviced pitches are up a shallow hill. If you have a specific pitch requirement (such as near the entrance or amenity blocks), have a look at the map on the website and contact us to reserve it. We’ll always try to make sure you get your preferred pitch or a similar one if your first choice is already reserved. Please book as far in advance as you can. If you want to know more about our pitches, please take a look at our interactive map or contact us. Our newly-launched luxury apartment ‘Demelza’ has been designed with accessibility in mind, including for guests with wheelchairs. The accessible bathroom has features including handrails, and a the Concept Freedom bath with shower above it. Designed for people with varying levels of mobility, but looks and feels like a normal bath. 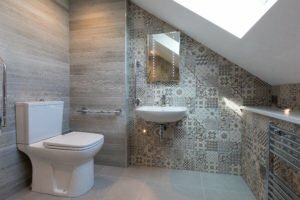 A shower stool, bath board and personal alarm can all be provided on request. The second bedroom allows wheelchair access with the beds in twin format. (Alternatively it can be made as a ‘Superking’). Our bedding is hypoallergenic, vegan and uses 100% sustainable recycled fibres, to mimic the decadent properties of down. The patio space also has level access, for sunny evenings outside. 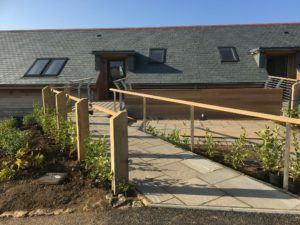 ‘Kerenza’ also has ramped access and clear spaces to mobilise and wide doorways, but the patio and lawn areas are both reached via a small number of steps, without handrails, and the freestanding bath and shower do not have rails. A shower stool can be provided on request. 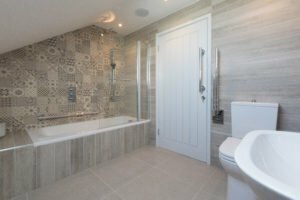 Each of our three amenity blocks has a dedicated accessible shower room, with shower, toilet, basin, mirror, bench and handles. 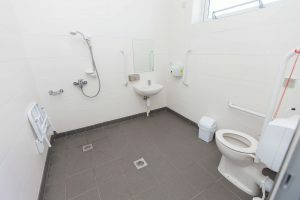 There are also large family shower rooms available. 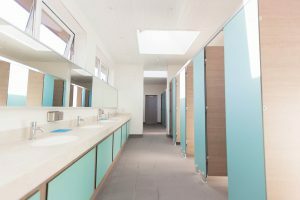 Our shower cubicles have a dry area with bench seating, separated by a curtain, with a small step down into the shower section, to help keep your belongings dry. 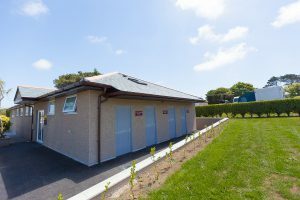 We’ve made sure that all the washing facilities are as easy to use as possible. They’re well-lit and have level access, and we’ve made sure that there are helpful little touches such as easy-to-use door locks and mirrors at varying heights. 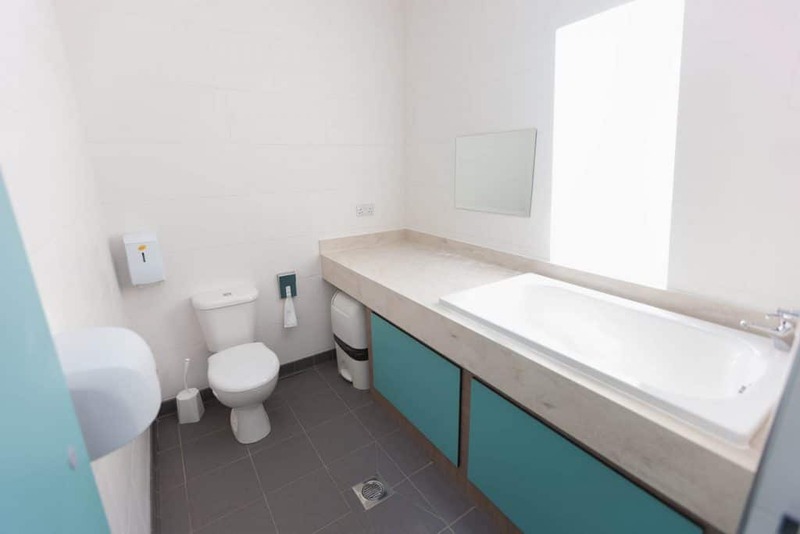 The launderette, washing up rooms, freezer room and waste disposal points all have level access. If you have any specific requirements (you may need to charge an electric wheelchair for example), please let us know. 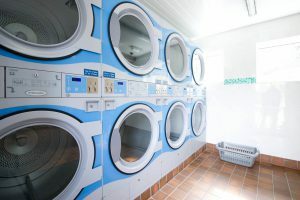 Our commercial washing machines are top-loading, so can be challenging to fill and empty, let one of our team know if you need a hand. We have drinking water taps and waste water drains at regular intervals across each camping field. There are dedicated chemical toilet disposal areas at site, and a drive-over motorhome waste station too. 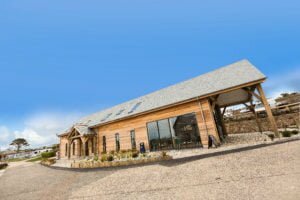 The conservatory and bar have level access and wide doors, plus in our adjacent soft play area we have an accessible toilet and unisex baby changing facilities. If there’s anything we can do to help with individual diets or sensory needs, just ask and we’ll do our best to help. We’re here to make sure you have a relaxed and enjoyable meal! 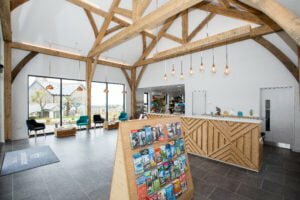 Our new reception and shop building has level access, and is the best place to go for advice and assistance with any accessibility queries, including great tips on places to visit locally. We’ve tried hard to make the new space as accessible as we can – with level access, an automatic front reception door, lowered reception desk area and we now have a Portable Induction Hearing Loop System if required. 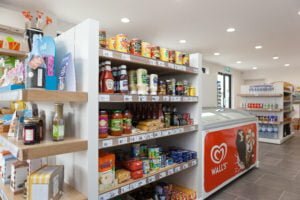 The shop now flows directly from reception with wide aisles, helpful staff, and plenty of fantastic local produce! Outdoors, the playgrounds, tennis courts, and pitch and putt all have level access. The sports field is up a slight slope but is then a large, flat space. 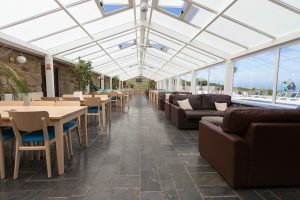 There are a couple of steps up to the pool area; however there is a level route through the restaurant’s conservatory. If you ask a member of the reception team, they can arrange for you to use this. Please note: there’s no lifeguard cover for the pool. 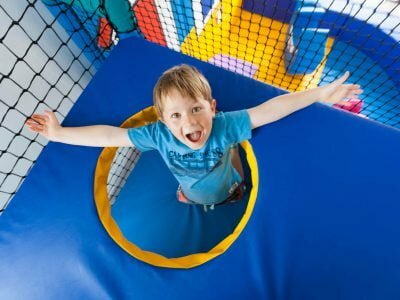 The indoor soft play area has disabled toilet and unisex baby changing facilities. We’ve had to position the door access button above toddler height, so if you need assistance with this, please let us know. The games room is in an old farm building with a steep external staircase: if there’s any way we can help you with this, please ask. 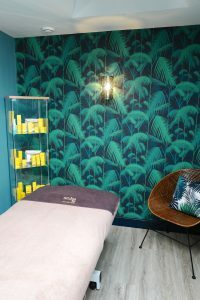 The spa treatment rooms have 3 steps down to gain access, but there is a level route through the rear of the building which reception staff can show you on request. We have a height adjustable couch in one of our 2 treatment rooms, please ensure you let our therapist know when booking if this would be helpful for you. Accessibility is about more than steps and large print. Many of our guests have some level of sensory difficulty; if this is you or one of your party, we want you to feel comfortable and relaxed at Polmanter. Please let us know if you have any specific requirements, and we’ll do everything we can to assist, no matter how unusual-seeming the question or request! Colleagues from all areas of the campsite are here to help, and we’re aware that the restaurant in particular can be a place where a bit of extra support is appreciated. 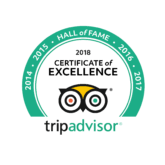 For advice on good places to visit in Cornwall, please ask at Reception. For example, we can help with advice re quieter beaches, and safe places to let off steam such as the local trampoline park. 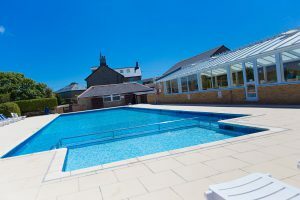 We can also direct you to fantastic local outdoor spaces such as Tehidy Woods or Heartlands, which can be less crowded and a pleasant alternative to the bustle of St Ives. Check out our guide written with help from local families about autism friendly family holidays for more information and advice. As part of our accessibility training programme we have participated in Dementia Friendly training, to promote understanding of Dementia across the team, and ways that we can help people living with the condition during their stay with us. Our staff are friendly, patient and always prepared to ask ‘How can I help’. WiFi is available across the site – though cannot be guaranteed to all pitches. 30 minutes free internet is available per device per day, and access codes can be purchased from reception for use beyond this. Our service is suitable for use such as checking emails, and general internet browsing, but cannot support streaming TV or large downloads. 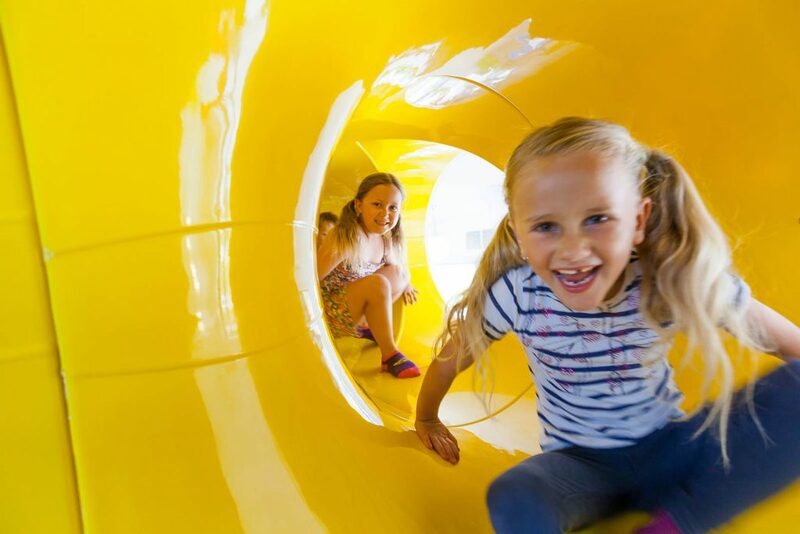 You are welcome to use the electric sockets in amenity blocks; bar, conservatory and indoor play areas to charge electronic devices, but we recommend you do not leave devices unsupervised while charging. Young families have their own particular needs, as we’ve learned from experience! There are special little baby baths in the amenity blocks, and large shower rooms for families with older children. 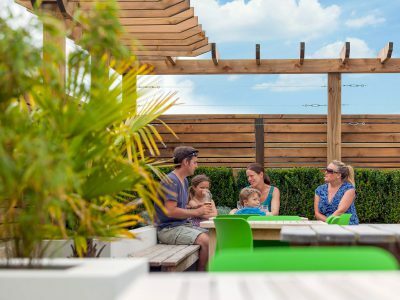 We’ve provided plenty of places for children to let off steam and play (with adult supervision, please), and we’ll always do our best to accommodate any specific food requests in the restaurant. An up to date bus timetable is provided in our “What’s on” guide that you will receive at check-in, displayed at the bus stop and on Royal Buses website. The service runs from late April to early September. We welcome up to 2 well-behaved dogs per pitch, and they may join guests in our reception, bar, conservatory and ‘beer garden’ areas. We ask that dogs are kept on a lead at all times on site, however we have a large enclosed field where dogs may be exercised off the lead, and our reception team can direct you to other fantastic walks from the site where they can stretch their legs. We only allow assistance dogs in amenity blocks, children’s indoor and outdoor play areas, the swimming pool and shop. 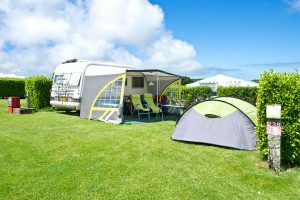 We have ‘dog parking’ hooks throughout the site so that your dog may be secured safely if you need to leave them, but we ask that dogs are not left unsupervised in caravans or vehicles. 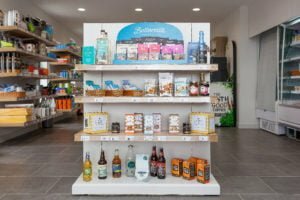 Our dog shower is incredibly handy for muddy or sandy pups, and we have introduced dog waste bags and alcohol gel beside dog waste bins for your convenience. We ask guests to refrain from smoking in shared areas including reception, bar/conservatory and beer garden, children’s play areas and amenity blocks. 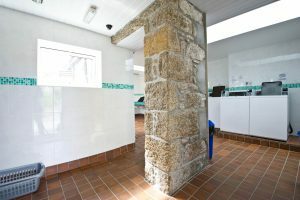 Our local surgery, The Stennack in St Ives , has a minor injuries unit, and will see patients who are here on holiday. You can contact them in advance if you have any ongoing medical needs. 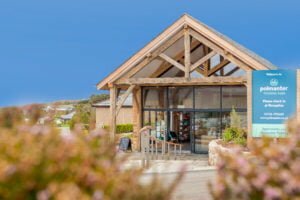 There is a small hospital in nearby Penzance has a 24-hour Urgent Care centre and the larger district hospital is 20 miles away on this side of Truro with full range of medical, emergency and maternity services. Royal Cornwall Hospital Waiting times for Urgent Care website is excellent resource should you need care in an emergency while you are here. You can also call 111 out of working hours for healthcare advice and appointments. 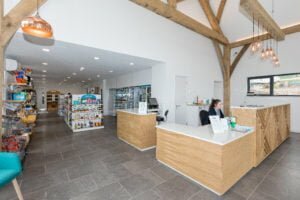 Please contact us in advance if there is anything that you might need from us to help keep well during your stay – for example, we can arrange for our shop staff to store medication that requires refrigeration. There is always someone on duty at Polmanter in case of emergencies – they can be contacted through our main reception, farmhouse or assistant manager’s reception, or the night warden’s mobile phone (07858 367838). We’ve tried to make all our on-site signage as clear as possible, and use symbols as well as words. As ever, if there’s anything you need to ask, please contact us or pop into Reception. We can print large-print versions of any of our materials such as tariff, bus times or menus on request. This website has been designed to meet (and exceed) current UK accessibility legislation and international guidelines, but if there’s anything else that you need, please give our reception team a call. Feedback from guests with disabilities or sensory issues is always really appreciated. If you’ve any thoughts or suggestions, please let us know. Thank you! This gives the information outlined above, plus specific dimensions (doorway width, basin heights, and so on). Please make our reception team aware if you require a copy of our Terms and Conditions Booking Form or Access Statement in large print. We have tried to provide as much details as we can, but please do contact our reception team if you require any further help or information.